A bunch of kids on grown up bikes flying through the air together? @sangwann thanks Dione, its quite a sight! 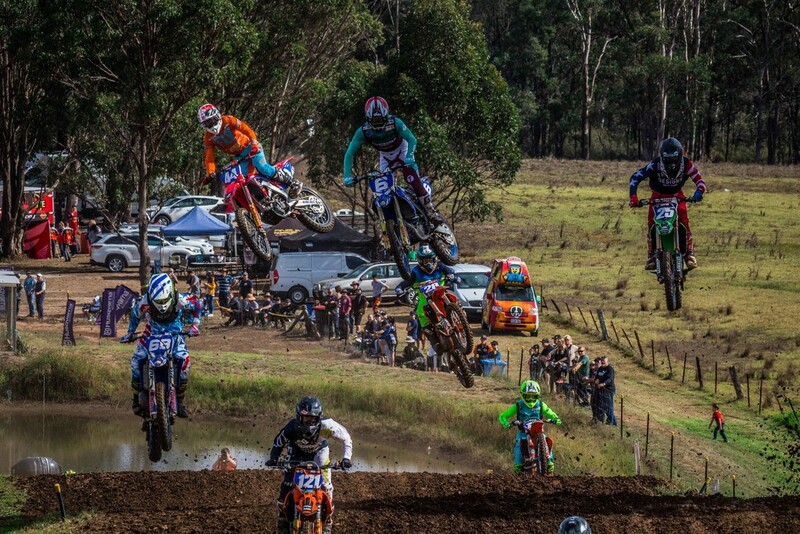 Great shot, My son used to do motocross, I could never watch.....lots can go wrong. I can't see anything going wrong, looks perfectly safe to me. Maybe not so safe for the photographer though as this bunch of riders are heading towards you. Hope you didn't get skittled. I love the layers of people adn the action! Yikes, every mums fear! Excellent action shot. WOW now that's some fantastic action you have captured .